When faced with a blank page in their readers' notebooks, students often fall back on what is familiar: summarizing. Despite our best efforts to model through comprehension strategies what good readers do, kids struggle to transfer this knowledge and make it their own when writing independently about books. In Readers Writing, Elizabeth Hale offers more than ninety practical lessons that show teachers how students of all ability levels can use readers' notebooks to think critically, on their own, one step at a time. 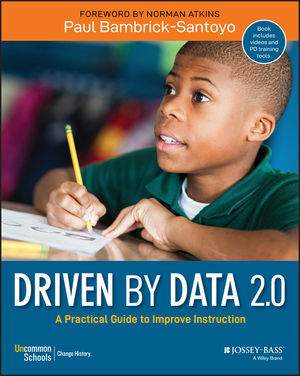 Each of the lessons uses a fiction or nonfiction book to address a comprehension strategy -- questioning, connecting, analyzing, synthesizing, evaluating, visualizing, or monitoring -- by showing students one specific way they can write about their thinking. Each lesson also provides an example of how to model the strategy. All of the lessons follow a similar format with five components: Name It, Why Do It?, Model It, Try It, and Share It, and include time for students to actively process what they learn by talking about and trying out the strategy in their readers' notebooks. Elizabeth also provides suggestions for supporting student independence, managing independent writing time, information on differentiation, scaffolding of nonfiction texts as well as assessing and conferencing with reader's notebooks. Helpful appendices include a table that illustrates how each lesson aligns with the Common Core State Standards and a list of additional titles that can be used to demonstrate each of the eighty-seven lessons. Readers Writing gives teachers a way to engage all children with readers' notebooks, to learn the language of thinking, one strategy at a time, and to become lifelong readers who can think and write critically on their own.